Around You is our latest project file templates featuring influences from artists such as Disclosure, Hot Since 82, Mark Knight and more. 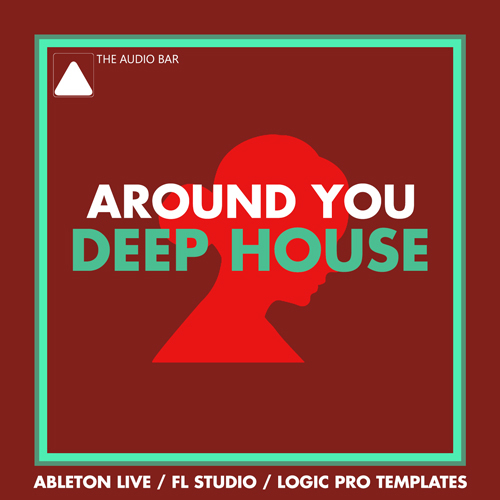 Around You is influenced by the trending Deep House tracks in the charts, keeping the essence of a catchy and groovy bassline. We also give you exclusive secrets behind the sounds, with production tips from the producer behind this pack. This template is perfect for any producer looking to create or improve their chopping/sampling skills and music production skills. The template contains top quality audio loops, one-shots, MIDI, Sylenth1 and Massive presets. From this template, one can learn how to create awesome deep basslines and ambient FXs, grooving drums, as well as several mixing & mastering and creative techniques. This template is exactly what you need if you are looking to improve your electronic music productions.